Here you might state your General Investment Philosophy, denoted separately from your Individual Fund Philosophy. Generally, Managers with multiple funds have SUB NAVIGATION TABS for specific funds. For example, if you have a General Top-Down Philosophy and two funds, One Debt and one Equity, the specific methodologies including Risk Mitigation methodologies used would clearly be different. 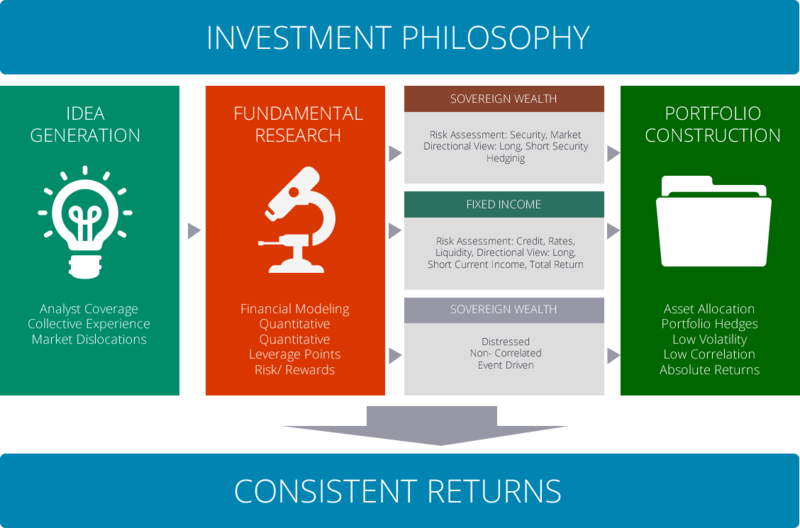 The General Investment Philosophy paints a big picture strategy, the Fund Philosophy focuses on the strategic picture. Here you can state your Investment Goals with text as well as describing it diagrammatically as below.